IDT ZMOD4410 Metal Oxide Gas Sensors are designed to detect Total Volatile Organic Compounds (TVOC) and monitor Indoor Air Quality (IAQ). The ZMOD4410 gas sensors consist of a signal conditioner that measures the Metal Oxide (MOx) conductivity, a function of gas concentration, and controls the sensor temperature. 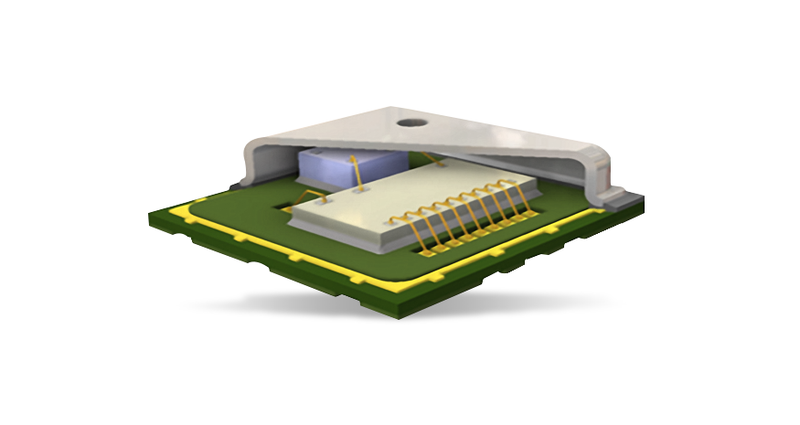 The sense element of the gas sensor consists of a heater element on a Si-based MEMS structure and a MOx chemiresistor. 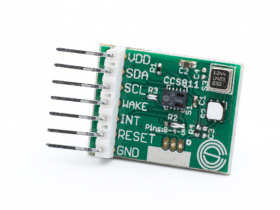 These ZMOD4410 gas sensors feature an adjustable ADC resolution for optimal speed versus resolution (16-bit max), I2C interface, and built-in Non-Volatile Memory (NVM) to provide space for arbitrary user data and stores the configuration. 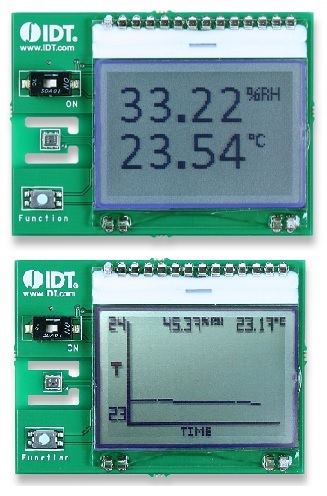 The ZMOD4410 gas sensors read the measurement results via the I2C interface with a microprocessor. 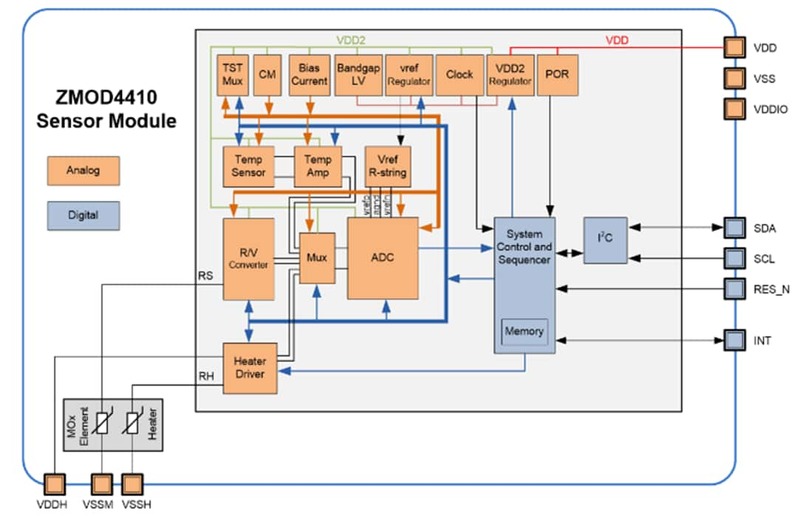 The microprocessor processes the data to determine IAQ rating, estimated carbon dioxide level, and TVOC concentration. The ZMOD4410 gas sensors are excellent for low-voltage and low-power battery applications including indoor air monitoring, smart thermostats, smart speakers, bathroom fans, and detection of hazardous materials. 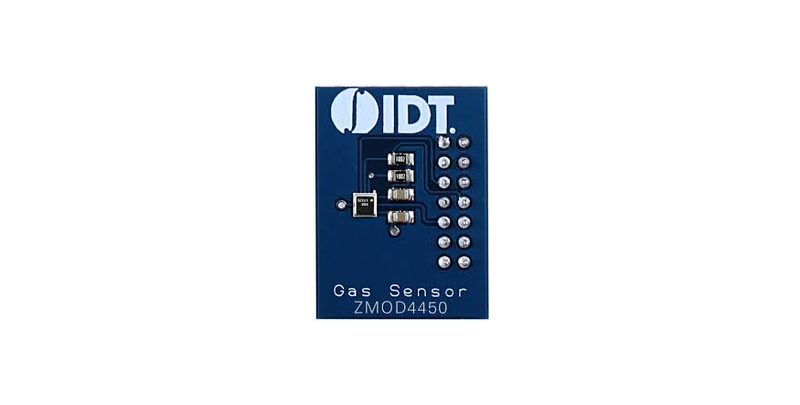 The IDT ZMOD4410 gas sensor platform requires the IC to be programmed with a firmware that makes the sensors capable of providing various measurements.